During the summer, the Nature Center at Happy Isles offers exhibits and books. Learn about nature, fauna and the eco system of Yosemite National Park. 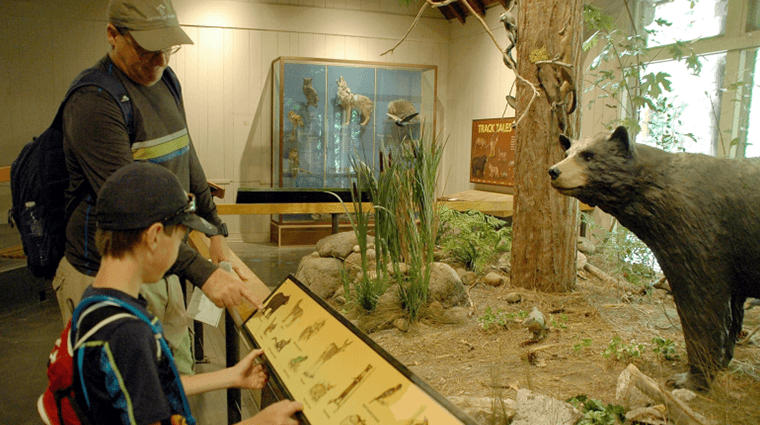 Happy Isles Nature Center is visited by more than 10,000 families every year, inspiring countless young Yosemite visitors through its engaging and interactive exhibits. In 2015, the Yosemite Conservancy provided funding to restore the existing exhibits and create new interactive panels and displays. The Happy Isles Nature Center is also a meeting place for the Junior Ranger Program, learn more about upcoming Junior Ranger Programs by checking out the Yosemite Guide.